Ingredients: This is what makes the product dicey. The tube says - Key Ingredient. The website says - Ingredients. Here are the ingredients/key ingredients - Almond Oil, Sun Flower Oil, Bees Wax, Vitamin E Acetate, Peppermint essential oil (mentha). Sounds exciting? Doesn't it? But, I strongly feel they are hiding one ingredient which is actually the main ingredient (maybe 90% or more) - mineral oil/petroleum jelly! If they had removed it then they would have mentioned it. But, they didn't. They might be containing parabens as well because it smells as good as it used to a year back. But, I am not 100% sure because it has a hygienic packaging and it also contains Vitamin E Acetate which is a natural preservative. Effects: If I just forget about the mineral oil confusion then I have to say that it works for me. 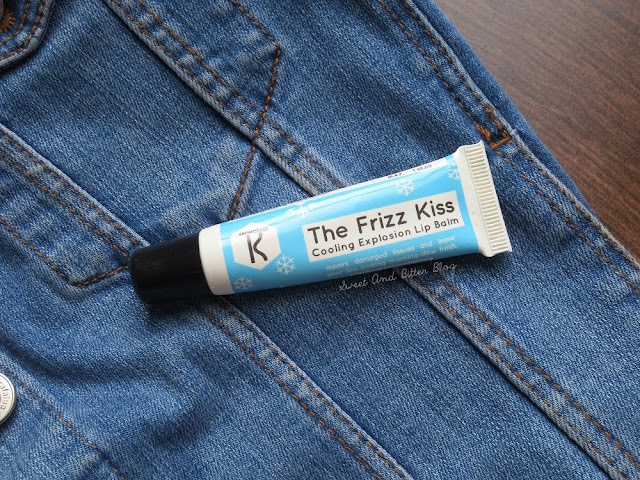 I do not use it everyday, but whenever I have used it on chapped lips, it has healed my lips. 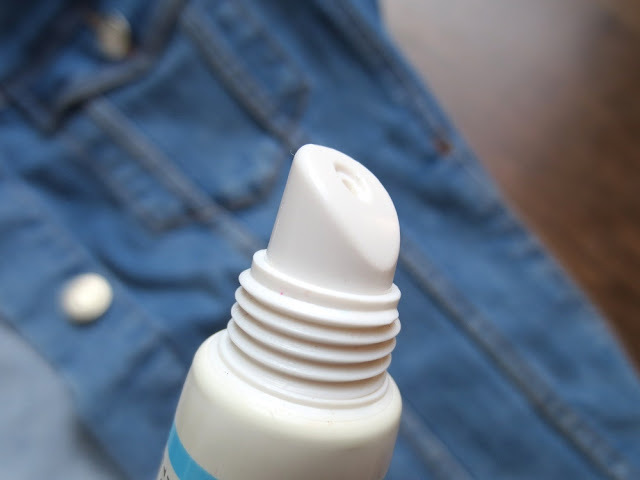 The lip balm is not too glossy. It works well even under lipsticks. Overall: I do not want to get into the great dispute whether mineral oil is non-harming or harming. I cannot even claim with 100% surety that Kronokare contains mineral oil or petroleum jelly. But, as there is a dispute, as there are products available without mineral oil, I will wish to play safe than being sorry at a later stage in life. 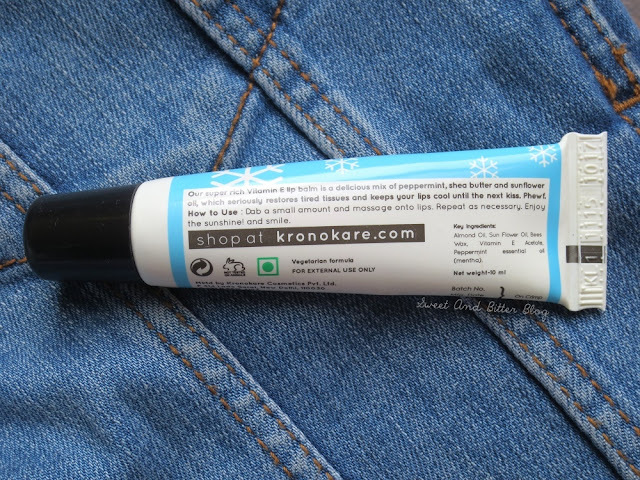 If you do not care about the ingredients, then this is one of the most affordable and healing lip balms in the best possible packaging. If you are on the other side of the river, then I can suggest you Burt's Bees or Himalaya Herbal Lip Balms.